Liquid/Liquid ("oil-on-top") Langmuir trough for Microtrough G1. The trough can also be used for air-water experiments. 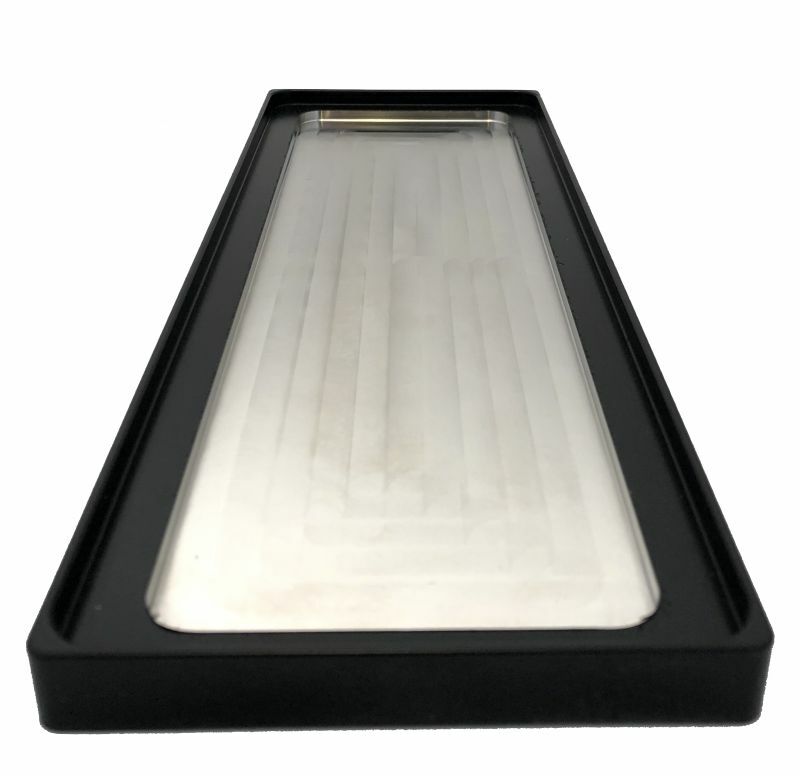 This trough is designed to be used with special L/L barriers with hydrophilic surface (=stainless steel) towards polar phase (eg.water) and hydrophobic (=PTFE) towards the non-polar (eg.oil). The trough is machined from a solid block of stainless steel (hydrophilic) with edges coated with PTFE (hydrophobic).